And good writing isn’t just about grammar and spelling. It’s about building arguments up logically and presenting messages clearly, while telling a compelling story that keeps your audience engaged. This webinar will teach you how to convey your thinking clearly. It will also highlight the benefits of style guides and publication policies for think tanks keen to speak in one consistent and captivating voice. This 60-minute webinar is free of charge. For a more in-depth look at this topic, try our strategic course: Writing for policy impact. Carolina Kern has over 10 years’ experience working for development and humanitarian organisations, helping them to design, manage and raise the profile of projects and programmes. She has excellent skills in programme management, research and communications, and has worked for bilateral donors, the UN and think tanks across health, governance, humanitarian and food security portfolios. Carolina collaborated in the development of a research communications workshop while at the Overseas Development Institute where she worked as the Communications and Network Manager for the Humanitarian Policy Group. She is now based in Kenya working as a strategic communications consultant for a range of clients including UNICEF, the Overseas Development Institute and Médecins Sans Frontières. 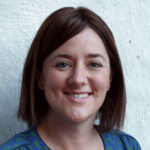 She has previously worked as a communications adviser within the Office of the Special Representative of the Secretary General in South Sudan and as a programme manager for the Australian Department for International Development.